Welcome to the last day (Day #8) of Chocolate and Caramel Theme Week. 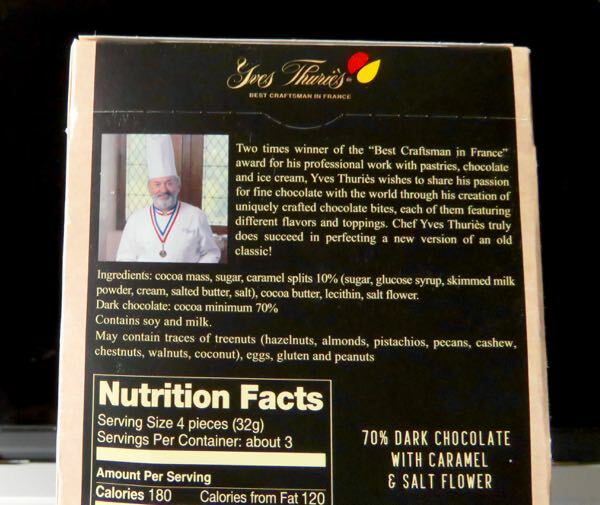 Today's Yves Thuries 70% Dark Chocolate with Caramel and Salt Flower was distributed by SALPA Inc. (France). 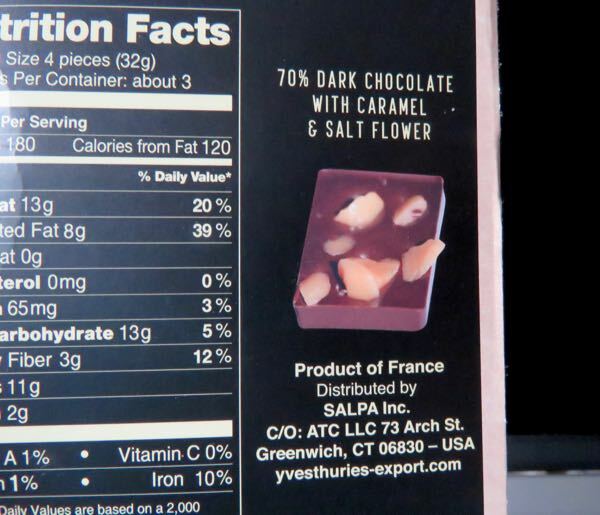 This chocolate was uniquely configured as a set of small rectangular pieces in a larger bar-shaped package. So, it felt like I was enjoying a series of tiny bars. Also great for sharing with others. 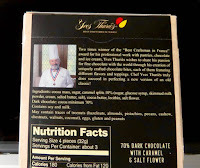 Traditionally the company's chocolate has been made with cacao from a farm in Ecuador, and with inclusions sprinkled on one side. 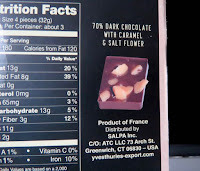 The caramel and salt pieces on today's chocolate provided visual interest and balanced sweet and savory flavor.